Achieve fast, no-fuss cooking with Thermomate Cook Tops, exclusively available online at Mytopia. Customers wanting extra crispy bacon on their burgers? Craving for some fried eggs? Have everything you or your customers want with your Thermomate Griddle Cook Top. Whether you’re at home cooking for your family, running a take-away shop or small restaurant your Thermomate is sure to be a reliable partner in satiating all your cravings. 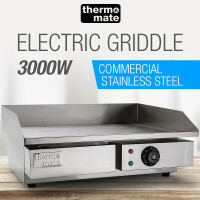 Thermomate Electric Griddle Cook Tops can cook everything you want from French toasts, beef patties to hash browns even Asian stir-frys. With its expansive cooking surface, cook for everyone, family, guests and customers in one go. Enjoy fast and even heat distribution with precise temperature adjustment for the commercial-grade stainless steel cooking plate. Its chic steel design will make your Thermomate a talking point in any space it's in. Plus cleanup is a breeze with its large grease drip tray. Round up all your cooking needs with Mytopia’s extensive range of durable and affordable Rangehoods, Induction Cooktops, Ceramic Cooktops and Ovens. 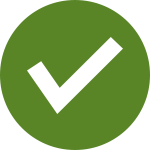 All Thermomate Cook Tops are backed by a standard 12-month warranty for private household use. Guaranteed fast and easy delivery, whether you’re in Sydney or in the Outback, only from Mytopia. Buy a Thermomate Cook Top today and cook to your heart’s content.